Enjoy a set of Ports from one of the first wineries in the world. The Porto Century Pack ($350) by Sandeman is exclusively produced in the Douro region in North Portugal. 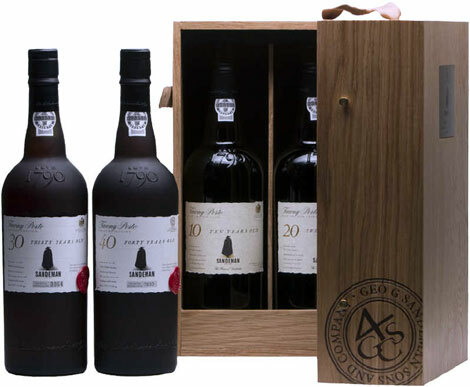 The pack includes four different aged Ports in a wooden box. Each bottle is premium aged for ten, twenty, thirty and forty-years, made from a blend of different varieties of grapes.